Review: Nestled into a small theater on chilly Friday nursing a cup of coffee, I knew what I was in for with The Red Turtle. No dialogue, Oscar nominee, first film from Studio Ghibli that wasn’t Japanese, crafted by a small crew. Leading up to the Oscar nominations every shortlist for possible contenders mentioned this one and now having seen it myself it’s not hard at all to understand why. It’s a beautifully told piece that’s part fairy-tale, part parable, and unexpectedly moving. Shipwrecked and waking up on a deserted island, a man struggles to acclimate himself to his new environment. We don’t know who he is, where he’s come from, or what kind of person he was before we meet him but we’re instantly rooting for him. Exploring the tropical islet, he winds up in a scene as harrowing as any live-action sequence I saw in the past year. When was the last time you felt an animated character was in physical danger…and not in a fantasy sort of way? In this brief bit of peril, writer/director Michael Dudok de Wit quickly shows what the stakes are if anything should happen to the man and how no one is there to help him. Using bamboo and leaves, he fashions quite an impressive raft to take him back to civilization, only to have his raft capsized by an unseen force before he gets too far. Numerous attempts seem destined for success only to be dashed again and again by this great presence. Desperate, starving, and losing some will the man tries one last time and that’s when he comes face to face with the titular character. How the man winds up connecting with the turtle is best left for you to discover on your own as the tone changes from despair and uncertainty to survival and understanding. As with most Studio Ghibli films, the animation is broad and flat which makes it look like a series of postcard images instead of one with great dimension but it’s an intensely rich film on nearly every level. There’s also a fair bit of humor to be had as well, with a family of crabs providing bits of comic relief to break up passages of time. For a film with no dialogue, it really speaks to the heart and I can’t imagine how any words would have enhanced the thoughts and ideas brought to life by Ghibli. A beautiful score by Laurent Perez Del Mar is really all that’s needed to provoke the imagination and stir emotions. 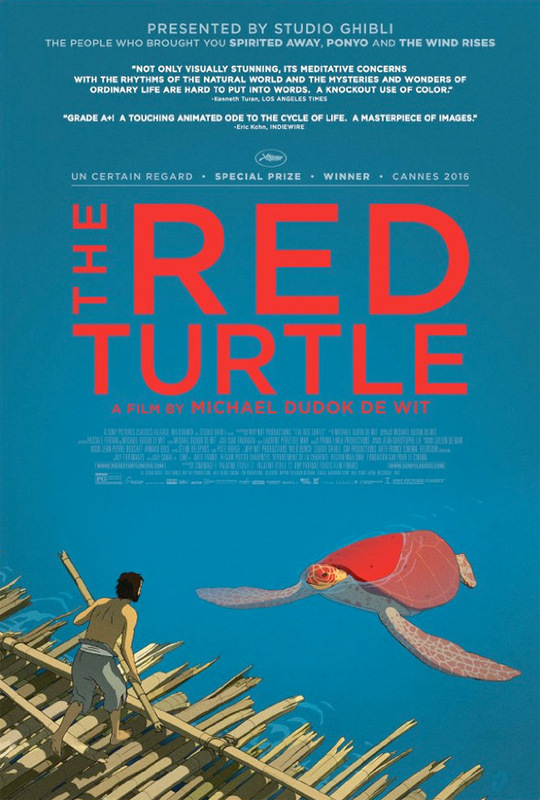 Every year the Oscars seem to locate one true animated gem that isn’t a mile a minute caper comedy or franchise blockbuster to give some variety to the category and obviously The Red Turtle is this year’s treasure. The Red Turtle isn’t going to break any kind of box office but it’s a film I think parents will discover as time goes on and will enjoy sharing with not only their children but their friends. 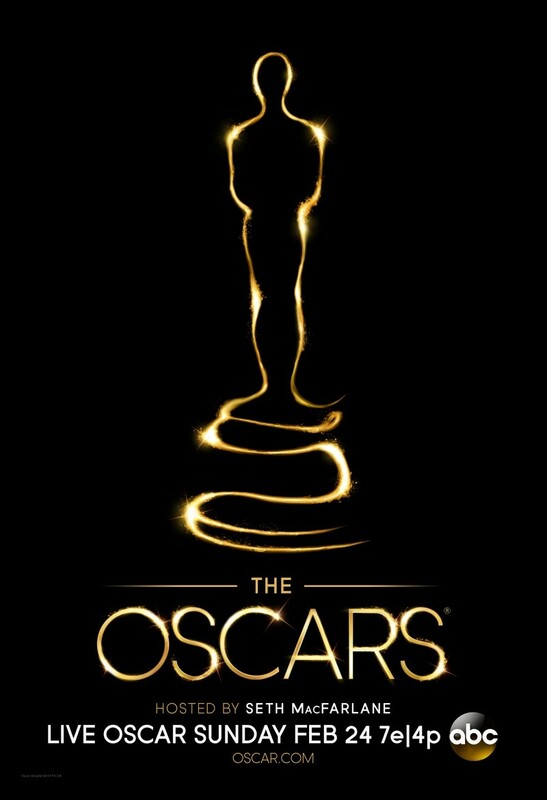 Hey — it’s the day of the night of 1,000 stars as The Academy Awards are given out for another year of strong work. Though I’m still bummed a bit by some omissions to the nominees (Ben Affleck, I feel your pain), this has shaped up to be a year with the potential to reward some richly deserving folk. My full list of final thoughts can be found here — I hope you enjoy the show. Check back tomorrow for my deconstructing of the big night with my reactions to the highs and lows of the ceremony! No question that Sunday, February 24 is Hollywood’s big night with The Academy Awards being presented but in the last few years I’ve enjoyed tuning in to the Spirit Awards. A much less showy affair (it’s held in a tent and guests/presenters always poke fun at how freezing it is), it fits well with the indie film vibe. While Oscar night is a time for Tinsel Town to crown new royalty, the ISA’s feel very much in line with the Screen Actors Guild Awards in that they recognize films/actors that the bottom line obsessed Hollywood seems to have ignored. Chances are you haven’t heard of many of the films nominated but I’ve always come away from the ceremony with a few films to add to my “To See” list. Check out the nominees here and tune in tonight to watch!